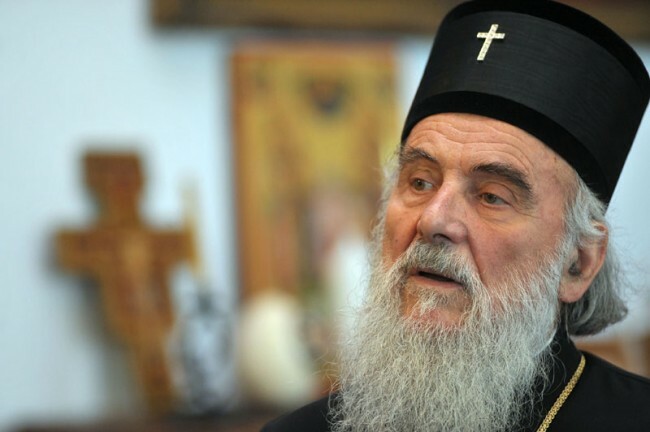 BELGRADE – The head of the Serbian Orthodox Church, Patriarch Irinej asked today employees at Gynecology and Obstetrics Clinic (GAK) “Narodni front” to talk to mothers who intend to abort and advise them not to do so, because “life is the greatest gift”. There is no justification to make this sin in the interests of a better life standard. There is no greater event than the birth of a new life, said Patriarch Irinej in GAK “Narodni front”, while marking its slava Saints Cosmas and Damian. We live in a special time when many values ​​can not be seen through the eyes of the value they deserve. One of these values ​​is life. We can see that we very easily part ways with the life of these young creatures, Patriarch Irinej said, adding that the “big word abortion” means something against the human nature. Patriarch Irinej pointed out that there are more and more empty villages, schools without children and that no nation can afford to disappear. “By enabling cry of the child to be heard, which is the most beautiful music, to make sure that there are more cradles then graves, as that is a requirement for us to survive in this region,” said the head of the Serbian Orthodox Church.